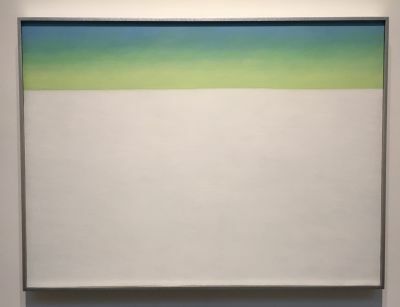 On a recent trip to Santa Fe, New Mexico I visited the Georgia O'Keeffe Museum. I had been there once before, many years ago, and even though it wasn't my first choice then for a museum to spend an afternoon in I was memorably impressed with the scope and range of her vision. So with an afternoon off before a four day teaching job I decided to spend it with Georgia. Georgia O'Keeffe is one of those artists, along with some of the greats, who has been over-merchandized and whose work has been trivialized by being placed on posters, coffee cups, and so on. Two of my other favorites have suffered that same fate: Paul Gauguin and Frida Kahlo. I have always been enamoured of their singular world view, and the passion with which they pursued their art. O'Keeffe's work was unique for its time, as was Gauguin's and Kahlo's, and was a personal expression of her love of the natural world. She always painted her love, whether it was for a man or a landscape. My favorites of her work for many years have been the watercolors. Her fluid mark, and the economy of her shapes and colors are all the hallmarks of a confident artist who is assured of what she is trying to say. They are simple visually and yet belie a skill I can only hope to achieve. To express an idea in a few lines and colors and then leave it alone shows such conviction. They breathe life even in the empty spaces. I also discovered how often she worked in series, and did larger more finished works from quick sketches done outdoors on site. This painting is quite large, and done in oils. She did this in her later years when macular degeneration was compromising her abilites to paint. But she, like so many artists have done, found ways around her disability to create works of strength and purity. Georgia O'Keeffe is most well-known for her large flower paintings. 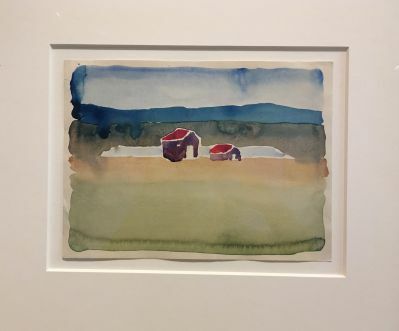 But the entire body of work she did, from her early days as a young woman drawing abstractions in charcoal to her watercolor sketches to her landscapes and abstractions in oils merit attention. I aspire over the next years to work towards that economy of form and shape, and to convey through my art, as Georgia did, how to fill a space in a beautiful way. 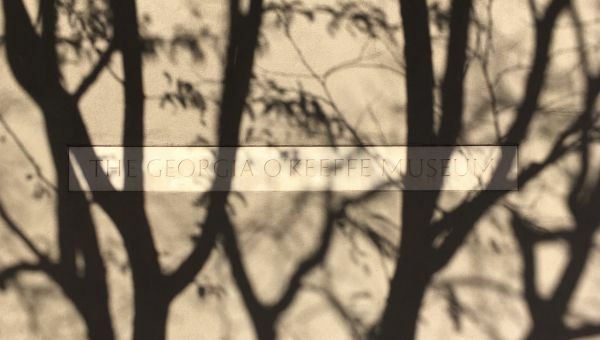 Are you a Georgia O'Keeffe fan? If so how has she influenced your work? Is there some other artist that moves and inspires you? Who, and why?